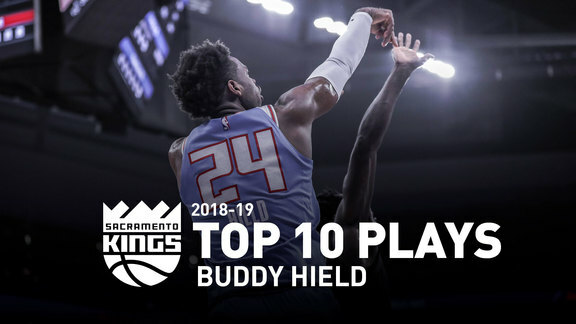 The NBA announced today that it has selected Sacramento Kings guard Buddy Hield to participate in the 2019 MTN Dew 3-Point Contest in Charlotte, NC as part of All-Star Saturday Night festivities. The third-year guard out of Oklahoma is averaging a career-high and team-best 20.5 points (.480 FG%, .460 3pt%, .863 FT%), 4.9 rebounds, 2.3 assists and 31.5 minutes per game in 53 contests (all starts). The Bahamian currently ranks fourth in the NBA in three-point field goals made (180), trailing only James Harden, Stephon Curry and Paul George and third in the league in three-point field goal percentage (.460). He has hit at least one three-pointer in all but three contests, notched four or more in 22 games and six-plus on six occasions. Joining Hield in the MTN Dew 3-Point Contest are Devin Booker (Phoenix Suns), Stephen Curry (Golden State Warriors), Seth Curry (Portland Trail Blazers), Danny Green (Toronto Raptors), Joe Harris (Brooklyn Nets), Damian Lillard (Portland Trail Blazers), Khris Middleton (Milwaukee Bucks), Dirk Nowitzki (Dallas Mavericks), and Kemba Walker (Charlotte Hornets). 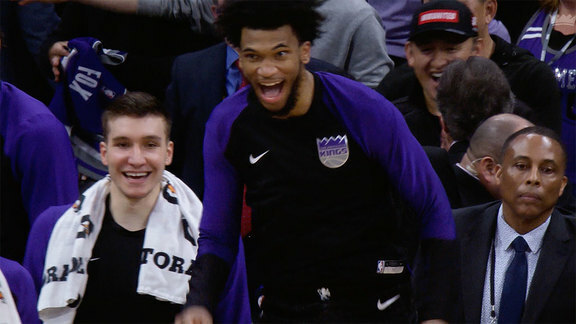 The Kings have fielded a rich history of competitors and champions in the annual event, as Hield marks the fifth player to represent Sacramento at the All-Star Saturday staple and first since current Kings Assistant General Manager Peja Stojakovic did so in 2004 after winning the event in both 2002 and 2003. Other Kings players to compete in the 3-Point Contest include Mitch Richmond (1994 & 1992), Jim Les (1992) and Danny Ainge (1991).